We are delighted to announce that the Autumn 2016 edition of Surrey Magazine is now available: to request a copy please contact us. 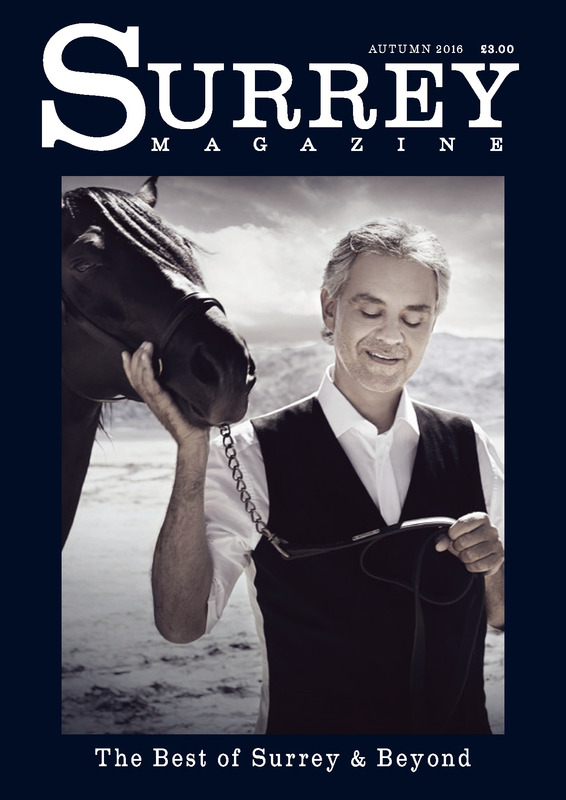 Surrey Magazine is a quarterly, glossy title distributed to selected, high-quality residential and commercial areas in Surrey. This stylish and sophisticated magazine showcases the ‘best of Surrey and beyond.’ It features The Residence with Surrey’s Homes and Property, with editorial coverage on Interiors, Women’s and Men’s Fashion & Accessories, Beauty & Grooming, Indulgences and Celebrity Profile pages, Art, 5 Star Destinations, Motoring, Dining Out, Entertainment listings & Events and Days Out in Surrey relevant to the audience profile.